Home / Editor's Choice, Entertainment News, Forum and discussion, Gossip and Drama, Lifestyle / Kapsaret MP OSCAR SUDI responds to claims he was dating slain Moi University student IVY WANGECI. Kapsaret MP OSCAR SUDI responds to claims he was dating slain Moi University student IVY WANGECI. 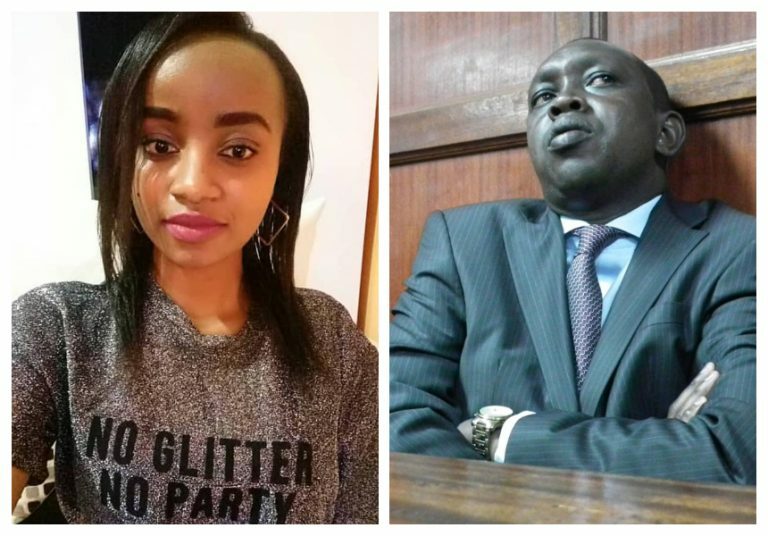 Monday, April 15, 2019-Kapsaret Member of Parliament Oscar Sudi has broken his silence on allegations that he was dating slain Moi University student, Ivy Wangeci. Ivy Wangeci was murdered in cold blood by her alleged boyfriend, Naftal Kinuthia last week outside Moi Teaching and Referral Hospital. Following her gruesome murder, rumors started going round on social media with some claiming that the sixth year medical student was having an affair with the vocal MP. However, Sudi has set the record straight and stated that he has forgiven the person who came up the malicious claims. Taking to Facebook, he wrote: “Given that today is a Palm Sunday, i choose to forgive whoever did this. 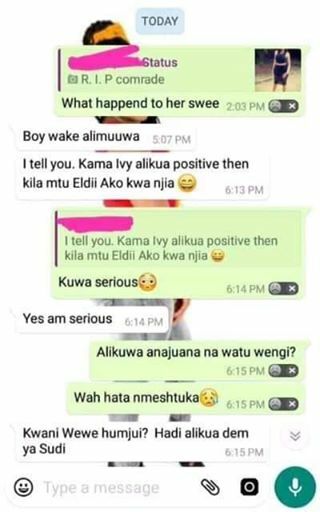 It’s immoral, immature and inhuman to share such malicious crap on social media even as the family is grieved by the gruesome murder of Ivy. Furthermore, it’s cruel, callous and barbaric to wish someone some sickness because no sane human can do so to his/her fellow being. “As a politician, I am used to such cyber bullying but it’s more sad and painful to the family when such fabrications are spread against their bright daughter. I personally never knew Ivy but I wish to express my heartfelt condolences to the family and friends of Ivy. Rest In Peace Ivy,” wrote Oscar Sudi. Here is the viral screenshot.